This from the man who just a few weeks ago was a nobody eating kebabs on his sofa. We're turning Kev The Slob into a full-blown celeb. And this is just the start. 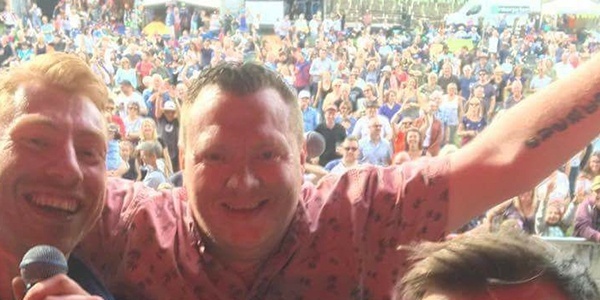 He appeared live on stage at Wychwood Music Festival with CC Smugglers in front of thousands. And actually... rocked it. Follow @KevTheSlob on Twitter to keep up with the man of the moment.